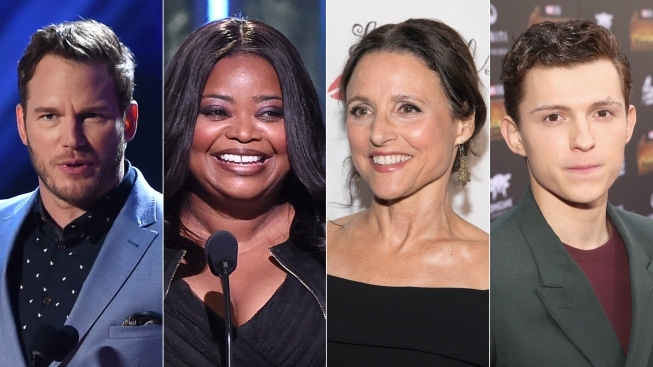 From left: Actors Chris Pratt, Octavia Spencer, Julia Louis-Dreyfus and Tom Holland are slated to appear in Pixar's newest work "Onwards." In the Marvel Cinematic Universe, Spider-Man (Tom Holland) and Star-Lord (Chris Pratt) met only briefly before they suddenly vanished — along with half the universe's population — in "Avengers: Infinity War." Luckily, they will get to work together again in Disney-Pixar's "Onward." Set in a "suburban fantasy world," the animated adventure introduces teenage elf brothers "who embark on an extraordinary quest to discover if there is still a little magic left out there." Produced by Kori Rae, "Onward" is scheduled to hit theaters March 6, 2020. "Chris brings equal parts huge heart and fantastic humor to his character," said Rae, who added Spencer "can do it all. We're especially excited about the depth as well as humor that she brings to her character." Pixar's last film, "Incredibles 2," was released in June and is a major award season contender.